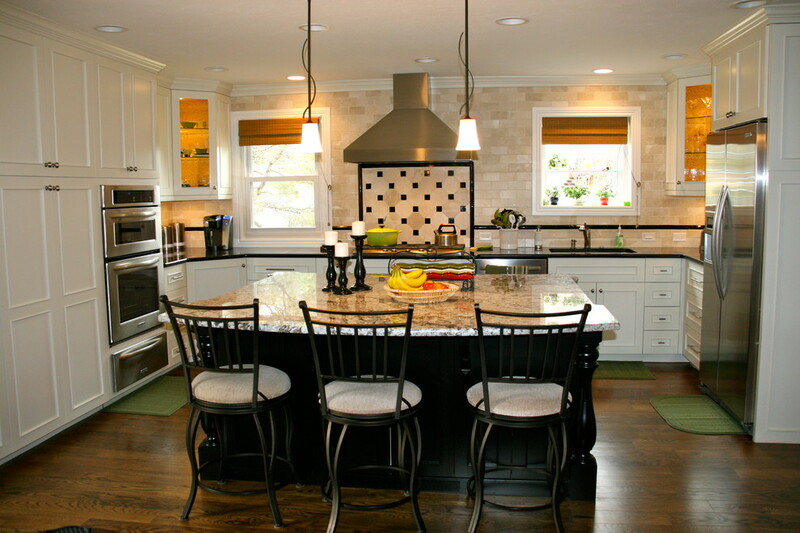 Custom home renovation: kitchen remodel. 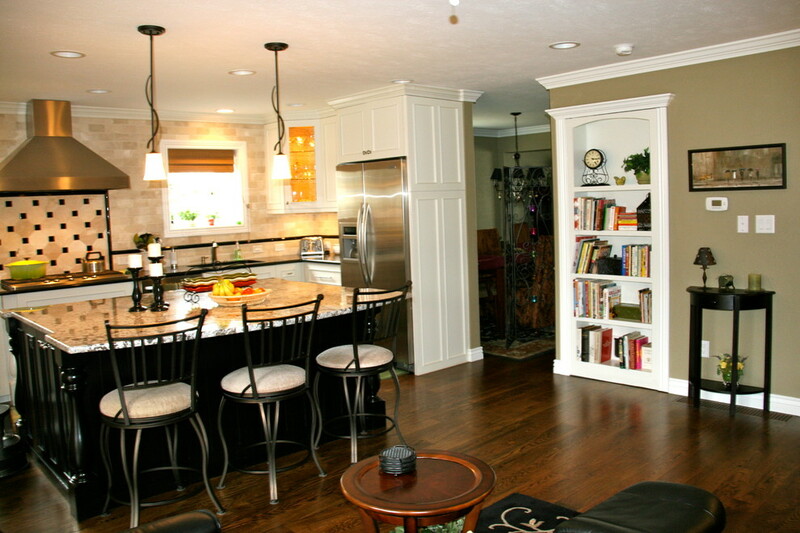 Removed an existing wall separating family room from the kitchen, opening up to what is now a beautiful open eat in kitchen, perfect for entertaining! 100% custom white lacquered cabinets built in our shop. Huge island, new 5" white oak hardwood floors. Travertine backsplash. What a beautiful transformation! The removal of an existing load bearing wall, opened up the space between the existing small kitchen and the adjacent living room, into this new huge great room! All of the cabinets were custom built in our shop. All new walnut stained 5" White Oak hardwood floors were installed throughout first floor. drop in gas cook top, travertine backsplash. detail shot of the island cabinet. skip troweled entire brick fireplace, built custom black fireplace mantle with black slate surround and hearth. 5" stained white oak floors throughout first floor. Master Bathroom jacuzzi tub and walk-in shower: travertine tile walls, black slate floors. custom shower with Euro glass door. Black stone shower floor, with black epoxy grout for ease of cleaning. No sealer required!